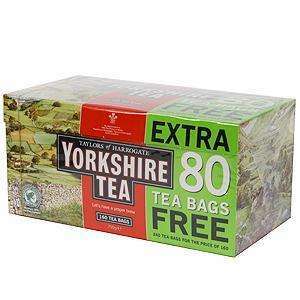 is this grown in yorkshire? people who bought these also bought these, any connection? erm, how should i vote, hot, or cold hmmmm? 160 for £2.25 at Iceland.320 for £4.50, so makes this a poor deal. ASDA and Tesco had a similar deal on these for a long time (I'm still smoking mine). No deal at ASDA any more but Tesco has them for £4.00 (in case you don't live near a Home & Bargain). They probably give all the tea to the dog, hence the TENA doggy. Delicious tea. I swear by this or Co-op 99. Tetley, PG... all the "established" teas are rubbish in comparison. There is a £2.99 delivery charge on top.